The worst part of makeup and wearing it everyday is taking it off. The effort of having to take makeup off at the end of the day is the worst. 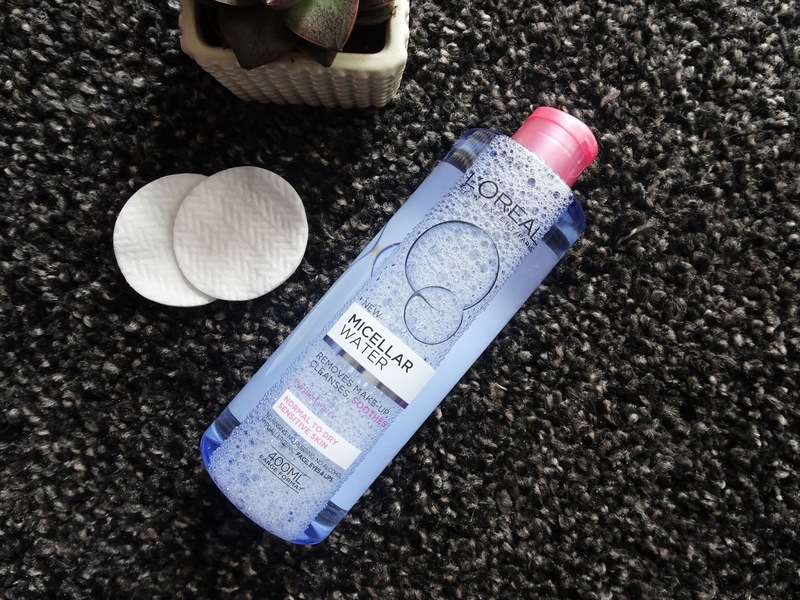 I always used to use a facial wash or if I was super lazy, just face wipes, but recently I have discovered Micellar Water. 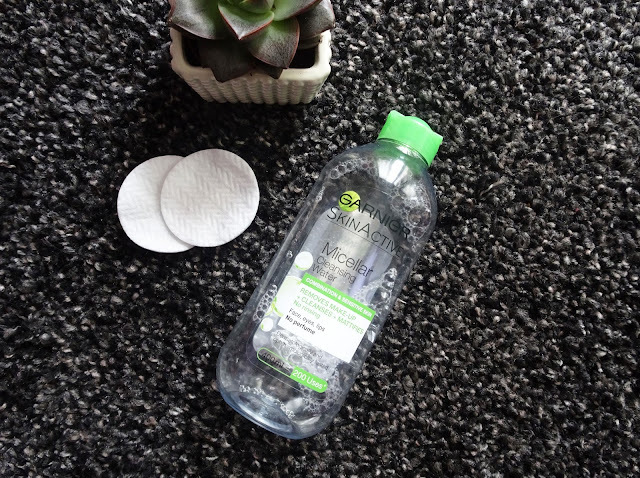 Micellar Water is, well.. water, but is made up from 'tiny balls of cleansing oil suspended in soft water'. The oil brings out all the dirt and makeup from the skin and the water keeps your skin hydrated. 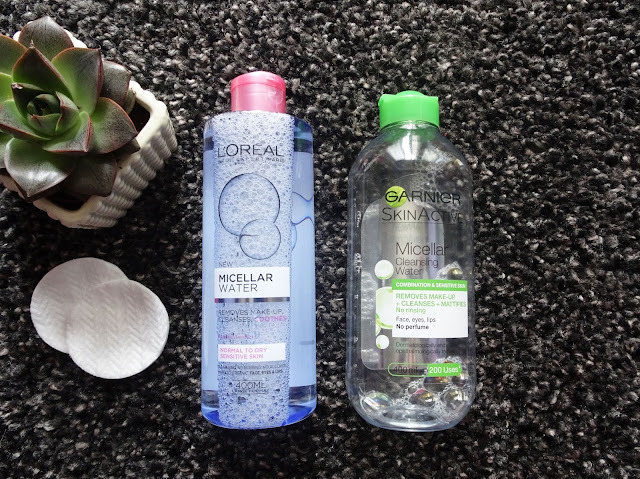 Lots of brands have recently come out with Micellar Water - Garniers and Loreals are my current favourites and my new go-to every evening when taking off my make up. Loreal's Micellar Water is good for dry and sensitive skin - it leaves your skin feeling hydrated as well as being gentle on removing your make up. The water itself comes in a big bottle, so lasts for ages and doesn't take much to remove all your makeup. 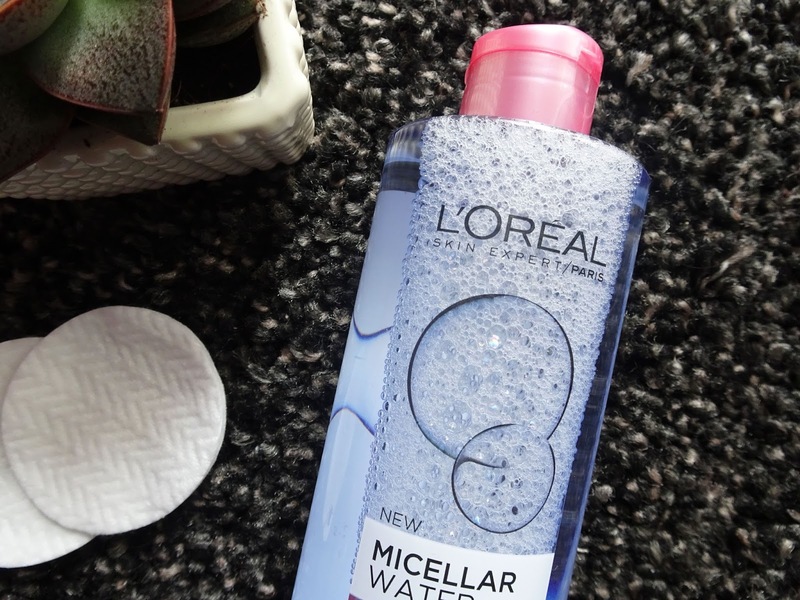 I don't tend to 'cake' on my makeup so have found that it is easy to remove it with only needing around 3 pads of the water to remove my whole face, but i'm not sure that the formula is strong enough to heavy makeup. It also contains no perfume - something rare for Loreal makeup, which is reassuring for your skin. This product really just does feel like water, with a fresh smell. A problem is the bottle - it drizzles out which makes it hard to get a good amount on your cotton pad without drowning it in product. Garnier Micellar Water is my favourite and have already gone through a few bottles. Smelling super fresh (think spa & cucumbers!) this product takes hardly anything to take make up off and leaves your skin feeling soft and well cleansed. Also containing no perfume, this product has helped to calm my spot-prone skin and has a gentle formula that would be perfect for anyone with sensitive skin. The nice thing about this product is that you don't need to do any scrubbing or much harsh rubbing on the skin, so it doesn't irritate and leave you with redness. 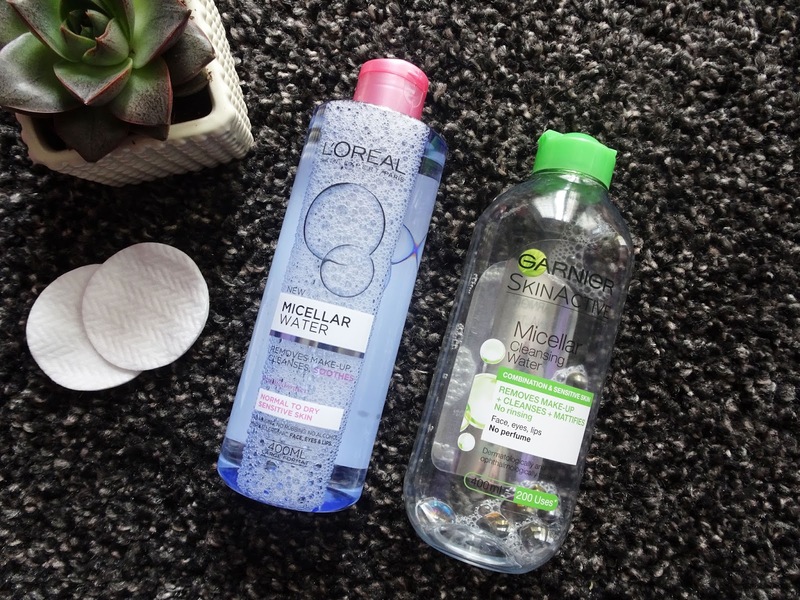 I am a complete convert to Micellar water and now use it as part of my skincare routine every evening to take my make up off. I feel that its' a less harsh formula for my skin than any other makeup remove and keeps my skin hydrated instead of stripping my skin of oils. What do you use to remove make up?